Remember we won the war (we even got a strategy for VICTORY two years later). No wonder John McCain wants 100 years more of it. 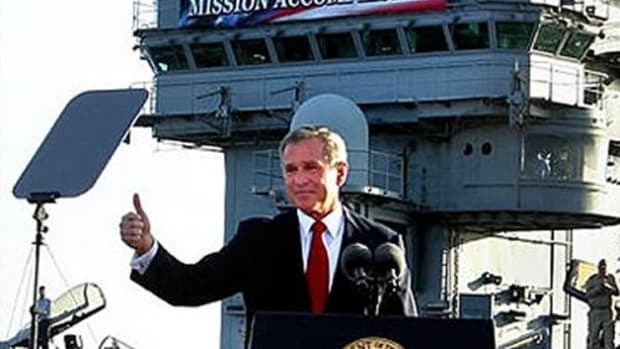 Over 3,500 servicemembers have died since Bush declared "Mission Accomplished".